This season like many in the past signals the transitions in the life cycle. We have been blessed with a wonderful fall season to ease and hopefully shorten our typical winter. But, what is typical these days anyway. Like the seasons, MSCH continues to transition as the year progresses. This year, I personally feel and recognize the transition of Dan Kohen’s retirement as Director of Education. His guidance and wisdom was inspiring. His behind the scene work was immense. He has provided MSCH with a solid foundation moving forward. I guess it is the little things in life that seldom get noticed until they are gone. It is the little experiences in our life that brings us security, value, meaning and context. I miss you Dan! 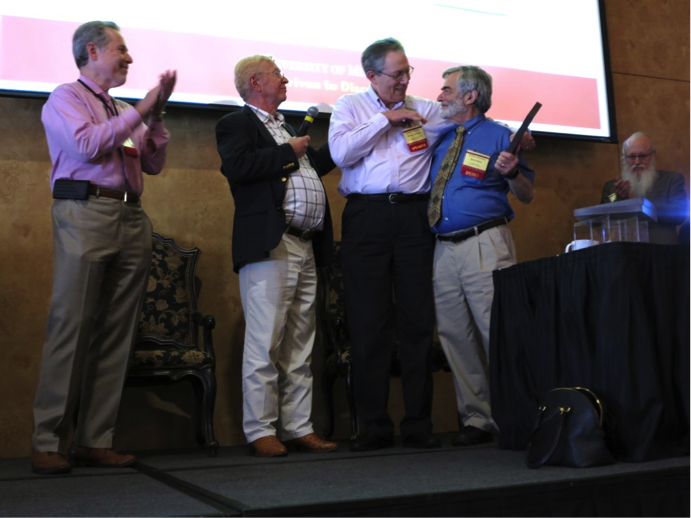 Fortunately, Andy Barnes, MD, and David Alter, PhD, stepped in and up to the challenge to fill a big void in historical leadership, planning, and simply getting things done. Like the seasons and the board, MSCH too is going thru a transition of sorts. Or maybe we are always going through a transition of sorts. Our organization is faced with the challenge of a gradual declining membership over the last 10 years. The causes are many and the solutions challenging. During this same period of time, scientific advances steadily document the benefit of hypnosis for many difficult or otherwise poorly managed problems. This trend seems counter-intuitive. At a time of escalating health care costs and the need and mandate for better and more patient-centered care, interest in hypnosis is down. Therapeutic utilization is at the heart of patient-centered care. When assessing a problem and the skills or resources needed to manage it effectively, the in-the-moment or real-time use of trance and therapeutic hypnosis provides a unique opportunity at both assessment and utilization simultaneously. It provides a path to access and assess patient needs at a very deep subconscious level and thus, can be used to activate self-healing resources to promote healing and augmenting allopathic care. These properties or effects are at the heart of patient-centered care. The mission of MSCH to provide education and training in clinical hypnosis could not be more important. How can we interest, excite, train, and retain health care providers to join in the experience of therapeutic hypnosis? Over the next 2 years, our Board and Education Committee will be looking at every opportunity to enhance what we do. Our training must become more effective and cheaper at an introductory level, more engaging at an intermediate level, and more nuanced at an advanced level. We need to keep pace with technology. Please join us by becoming involved at a leadership level to help with this process. It is a chance to renew, advance, grow, and create something special. The changing of the guard: Dr. Dan Kohen hands over the Director of Education and Training role to Drs. Andy Barnes and David Alter. Thank you Dan for all your years of service! MSCH has a standing Education Committee that is charged with discussing the mission, structure and content of MSCH educational offerings. 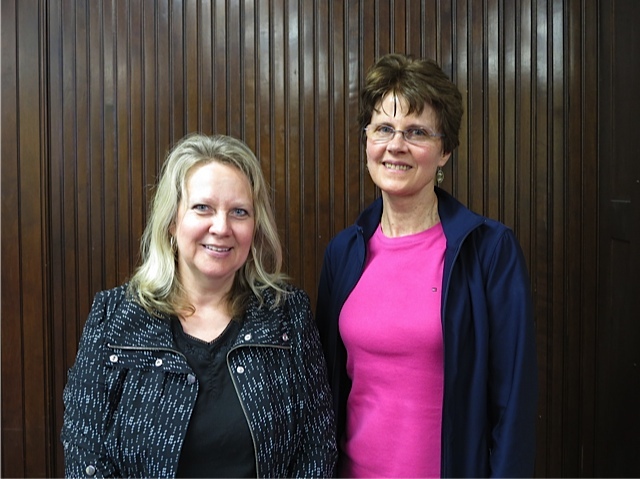 We report to the MSCH Board. There is currently an opening on this committee. In addition to playing a vital role in shaping MSCH’s future, it is a fun group that meets monthly. If you are interested in helping to shape your hypnotic future and the future of the organization, please forward your name to David Alter, PhD at drdavidalter@gmail.com. Don’t miss the December Workshop! Learn some fundamental background info regarding Chronic Pain and features of central sensitization syndrome (CSS). Learn why many traditional treatments for these disorders are ineffective or insufficient to promote healing. Get practical experience on how to conceptualize treatment of patients with complex disorders. Learn effective applications of clinical hypnosis as part of this integrative treatment focusing on enhancing somatic experience. Watch for the June Workshop Review in your next issue of Images. 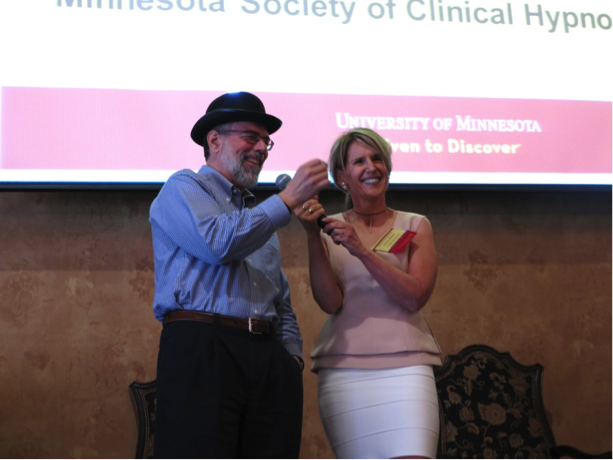 Cheryl Bemel handing over her “bright idea hat” to speaker, Mark Jensen who was a good sport during the raffle event. Books by Jensen and Yapko as well as MSCH mugs were great raffle prizes! “The map is not the territory” (Alfred Habdank Skarbek Korzybski, 1879-1950) was the theme woven throughout this workshop presented by David Alter, PhD, LP on May 7, 2016. One’s interpretation of events is not equivalent to the “lived” experience. Just as a snap shot does not reveal everything in that moment, a specific method, certain order or skillset is not a guarantee – nor absolutely necessary – to create a desired and beneficial effect in therapy. For those of us preferring (or even feeling that we need) to have a script or specific route to follow, this could be a bit alarming. Am I expecting the right words to flow? Do I want a guarantee that the planned outcome is reached? Do I believe I need a script to fall back on to feel comfortable? Wanting the process to be a step-by-step list of directives/statements is similar to depending fully on the map or GPS to reach a chosen destination. This workshop provided great relief for those of us frequently struggling with a fear of not getting it right, or not having a well-developed, poetic flow when critiquing our own use of hypnosis. These concerns too easily become a reason to avoid using hypnosis. The workshop helped us recognize that it’s not the exact word(s) that elicit hypnotic states of mind. Rather, it is the clinicians’ attunement with the client and the utilization of present and past experiences that unlock the inner potential for change. These four axes work as a guide, possible directions to go for activating the client’s resources and for eliciting hypnotic states of awareness. In using this framework, the therapist’s focus is on eliciting a perceptual shift that unlocks the potential for change. When using these dyads to guide our approach, the urge to find the specific words, or the “right approach” is lessened. This framework moves us away from the fear of not knowing what to say. Rather, the client is supported in experiencing growth like blades of grass sprouting through cracks in the pavement. Using these dyads to connect and encourage, allows a flow, movement, and energy not included in [just] the map. There can even be an embrace of not knowing, and an opening to experiencing and discovering. Overall, the hypnotic conversation becomes a natural process of seeking and discovering a better way of moving beyond the problem story line. This interpersonal process is greater than just the map or list of directives. It’s deeper, richer. We practiced using this framework with one another and found it helpful in achieving shifts in our approach to practicing hypnosis. We were invited to shift from the strong tendency to rely on a map to experiencing the territory, from hesitancy to curiosity, and from rigidity to flowing. Thank you, David Alter, for the fine learning experience. Brenda Oian MS, LMFT works at Blue Earth County Mental Health Clinic, Mankato, MN. She previously worked at Immanuel-St. Joseph’s Mayo Clinic Health System and St. Peter Regional Treatment Center. She serves a diverse clinical population presenting with CD, DD, MI, MI&D, and SPMI. Since 2013, she has regularly attended MSCH trainings. Mary Grove, PsyD works as a clinical psychologist at an Allina Health Medical Clinic in West St. Paul. 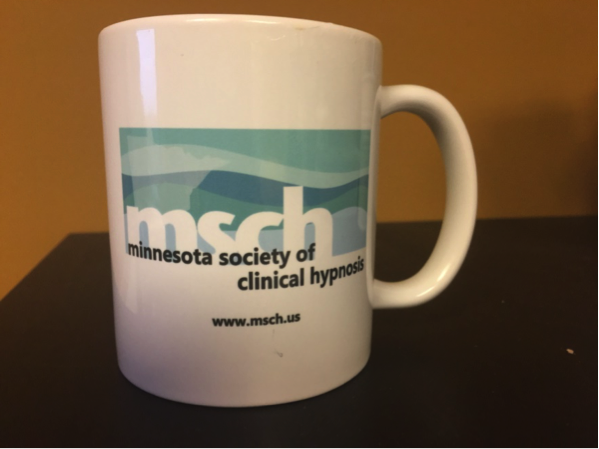 She has served as the board secretary of the Minnesota Society of Clinical Hypnosis for 6 years and continues serving MSCH on the Education Committee and as a small group leader for the Annual Introductory course. 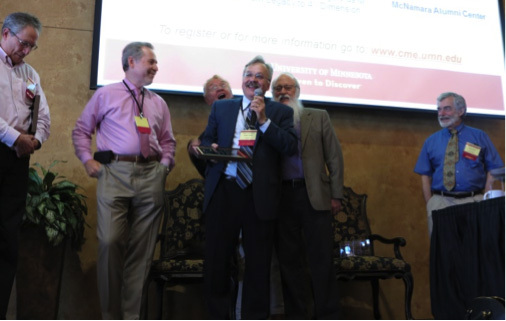 Al Clavel, MSCH President, presenting Dan Kohen with his life-long achievement award. 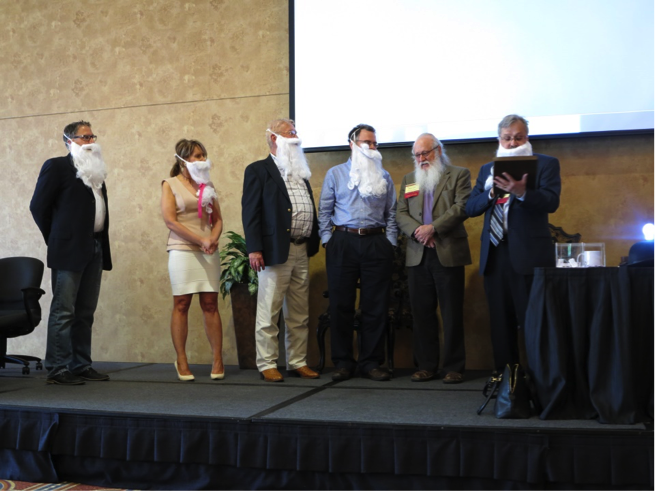 Also pictured and bearded: David Alter, Cheryl Bemel, Ralph McKinney, and Mark Jensen. A video visit from Michael Yapko! Special words given in honor of Dan Kohen, which reflected the deep friendship these two have shared! 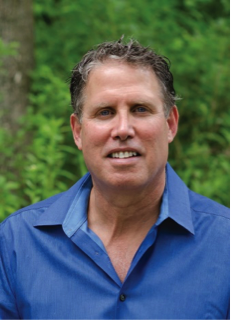 “Al is tireless in his efforts to help patients connect to their inner healing resources – using hypnosis, and all the knowledge and skill he possesses as a physician. His lively curiosity moves him to read, explore, and constantly expand his learning and skills – it inspires those of us privileged to call him colleague and friend. His intelligence is broad, and certainly deep, as is his kind and caring spirit. ” Mark Weisberg, MD. This award recognizes excellence in teaching, advising, program innovation and development, and educational leadership. 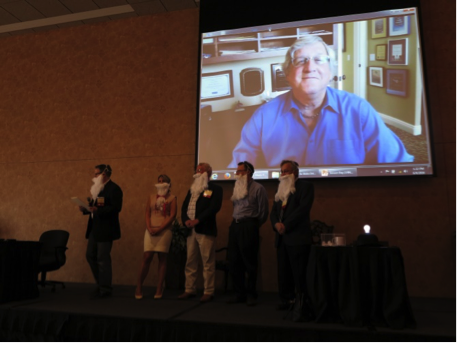 This year’s recipient was Michael LaCrosse, PhD from Norfolk, Nebraska. 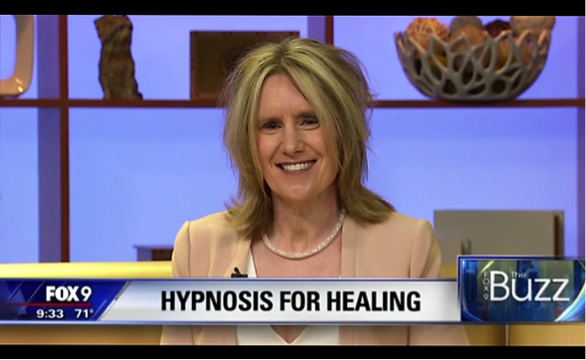 I was invited to participate in a live TV interview this month on one of our favorite topics … Clinical Hypnosis. Of course, the first thing I did was to put myself into trance, during which I imagined myself doing an interview while seeing myself being successful and knowledgeable as an interviewee. Not surprisingly, this strategy worked, since we know that all hypnosis is self-hypnosis. I also thought long and hard about what I wanted to communicate to my audience—the general public watching television—Fox 9 News, to be exact. I wanted to portray a few key points: First, that when most people hear the word “hypnosis” they do not generally think about clinical hypnosis so I wanted to explain specifically what clinical hypnosis is, and how folks can benefit from hypnosis. I also wanted to share the many differences between hypnotherapy and “stage” hypnosis. Second, I wanted to teach the general public that there is neither “magic”, nor “mystique” when it comes to clinical hypnosis, as hypnosis calls upon regularly occurring phenomena that can be enhanced when experiencing trance. As a result, people can make significant shifts towards clinical goals by being able to increase comfort, decrease undesirable sensations such as pain, increase desirable experiences such as comfort, and help in achieving peak performance. I also wanted to inform viewers that most people are able to achieve a level of trance that can be clinically beneficial. 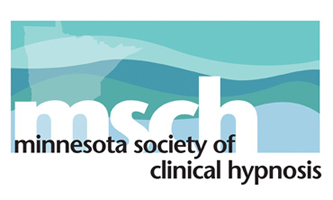 Finally, I hoped to share information about what conditions may be treated with clinical hypnosis, and specifically, where to find a practitioner of clinical hypnosis in Minnesota….namely, the MN Society of Clinical Hypnosis! 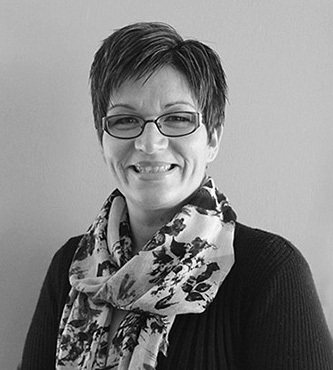 Cheryl Bemel, PhD, LP, ASCH Approved Consultant, is a Licensed Psychologist with Allina Health. She is the Treasurer for the MSCH Board of Directors and we are grateful for her service. 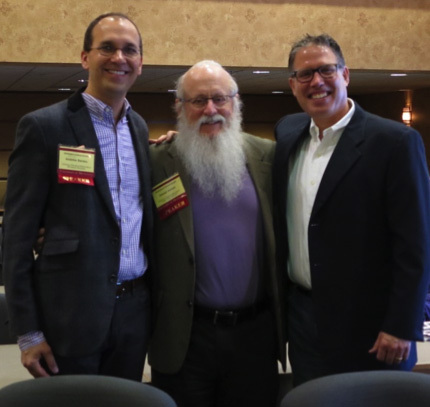 At its recent annual Rosenthal workshop on October 2, 2016, MSCH was privileged to have as its guest speaker, Dr. Laurence Sugarman. 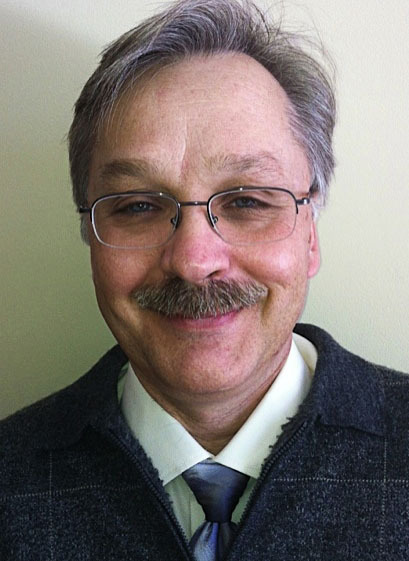 Dr. Sugarman is a noted research professor at the Rochester Institute of Technology and directs the Institute’s Center for Applied Psychophysiology and Self-Regulation. Dr. Sugarman is also the past president of the American Board of Medical Hypnosis, and an international leader in the field of pediatric hypnosis. Dr. Sugarman’s cutting edge work has focused on how best to evoke the abilities of young people with autism spectrum disorder (ASD) to control their own stress by using both computerized biofeedback and hypnotic techniques. In addition to these distinguished professional endeavors, Dr. Sugarman is an accomplished banjo player. Dr. Sugarman set the mood and captured our attention for this day-long workshop starting out with a detailed description of his very positive childhood after-school ritual of taking the train to the city to meet his dad at his office. I felt like I was right there with him as he described carrying his backpack, walking to his dad’s office building from the train, riding up the building elevator, entering his dad’s office, and, as usual, finding his father on the phone. Laurence would unwrap a Regal Crown Sour Cherry candy for his dad as his dad conversed on the phone, and Laurence would have one as well. Then, sitting down to do his homework, Laurence would wait patiently for his dad to finish his business while relishing in the shared experience of eating the delicious cherry candy. Dr. Sugarman still savors the taste of that cherry candy today. This glimpse into Dr. Sugarman’s childhood provided a good prelude to some of the concepts covered in his presentation, including epigenesis, the brain vs. mind, neuroplasticity, trance, hypnosis and polyvagal theory. These concepts, referenced by Dr. Sugarman and described below, offer a provocative way for understanding Dr. Sugarman’s work with autism spectrum disorder (ASD). Through a process called epigenesist, research has discovered that positive early experiences are directly linked to how chemicals control the manifestation of genes in specific areas of brain. These genes can alter the regulation of our nervous system, which, in turn, can reinforce the quality of emotional resilience. Conversely, if early experiences are negative, it has been shown that alterations in the control of genes influencing the stress response may diminish resilience in children and compromise their ability to adjust to stressful events in the future. While the brain can be defined as a set of neurons encased in the skull and interconnected with the rest of the body, the mind in contrast is a rich relational and embodied process that regulates the flow of energy and information. Human connections and relationships shape neural connections and each contributes to mind. It is an integrated system with cumulative memory imbedded in it and has emergent properties in which the system is more than the sum of its parts. Neuroplasticity is the property of the brain that allows it to change its structure and function in response to mental experience and activity. Neuroplasticity takes place in the brain, but it is triggered by the mind. The brain never stops growing in response to experience. We can use the firing power of our mind to change the firing patterns of our brain, and thereby, alter our feelings and perceptions. If our minds cling to what is only familiar, we can become trapped in feelings of disappointment, confusion and anger, which in turn create our own internal world of suffering. Trance is a process of being plastic and elastic. Novelty triggers trance. Trance is not a state, but rather how we travel between states. Hypnosis is a name of a group of skills for influencing trance and plasticity. When we are children, we are most plastic. Hypnosis provides a favorable climate in which to learn as well as a medium for learning how to change. Using hypnosis with children with ASD allows for the development of a skill set that helps patients pay attention to their internal processes and thinking. This skill set influences how they change their own physiology with suggestions and ideas in their minds. Polyvagal Theory links the neuroregulation of our viscera with our conscious adaptive brain functions and maintains a goal of keeping us safe in face of danger. The theory specifies two functionally distinct branches of the vagus nerve. The autonomic function is separated into a new hierarchical model with three parts: 1) Social Engagement- vagal, 2) Stress – sympathetic and 3) Immobilization – vagal. The old model only consisted of the Stress and Immobilization response. The new model includes an additional branch of the vagus nerve. The highest level, Social Engagement, connects the social muscles of the face with the heart. 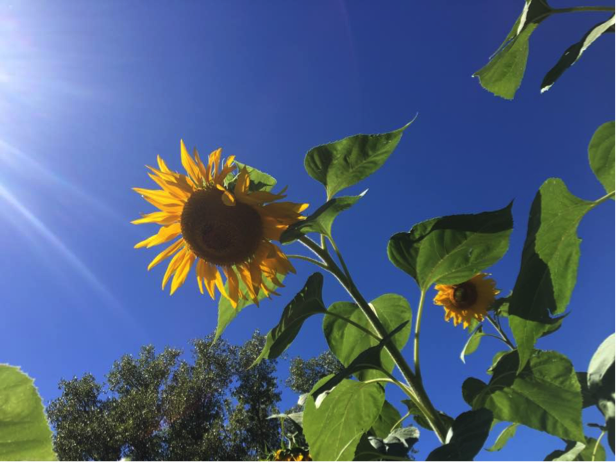 Polyvagal theory thereby broadens the way we understand our nervous system, senses, emotions, and social self, while also providing us with an understanding of self-regulation in the body. Related research suggests that in people with autism, loss of facial neural tone can be attributed to the loss of the face to heart connection. This lack of connection may result in activation of the fight/flight response. During fight/flight activation, digestion of food comes to a halt. Thus persons who struggle with facial neural tone loss may suffer from digestive tract issues. During our workshop, Dr. Sugarman simulated the role of an adolescent with functional abdominal pain and the audience participated in asking questions as therapists. This was an effective method of endorsing the view that the therapeutic effects of hypnotherapy were superior to cognitive therapy. Dr. Sugarman has been focusing on using biofeedback and hypnosis (both nonpharmacological approaches) to reduce the high anxiety often found in children with autism. Biofeedback helps with self-regulation by teaching people with autism skills to recognize when they are stressed/activated. Once recognition occurs, people can learn other skills, such as hypnosis, to positively influence anxious symptoms, so they can be more interactive with others. The Center for Applied Psychophysiology and Self-Regulation (CAPS) includes programs that focus on: 1) biosensor driven algorithms, apps and games that promote self-awareness and enhance self-regulation of the stress response; 2) stress reduction and coping for RIT students using biofeedback; 3) community parenting programs that incorporate stress-reduction for families at-risk due to developmental differences and poverty; and 4) research into autonomic nervous system regulation in autism spectrum disorder. As Dr. Sugarman described, biofeedback works as a physiological mirror. The CAPS programs provide the bases for demonstrating that computer-based biofeedback is an ideal method for autonomic regulation training in ASD. This method provides direct user-focused information on autonomic function without primary reliance on interpersonal relationships or language. Watching Dr. Sugarman’s video of a patient successfully using the Dynamic Feedback Signal Set (a strength-based self-customizing algorithm developed by Dr. Sugarman and colleagues) with an animated interactive interface, was both provocative and intriguing. 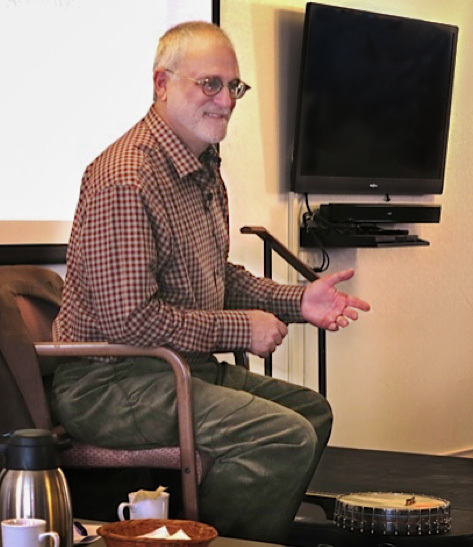 Before this workshop formally concluded, the MSCH attendees were treated to a final trance experience – a live traditional banjo concert by Dr. Sugarman with a few of his original songs. A perfect ending for a great workshop! 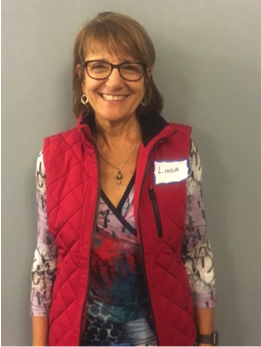 Linda Haller PA-C, MPH, MBA, is a licensed Physician’s Assistant with an Independent Wellness Coaching practice. Ms. Haller works with individuals dealing with stress-related issues associated with life transition and is currently a MSCH board member. How much would you pay for a medicine that could help you improve your sleep; clear your mind; reduce pain; speed physical healing; facilitate profound shifts in emotional healing; support strong esteem-building; as well as optimize athletic, professional, or artistic performance? This medication is totally free when used as directed and has been shown to have no documented side-effects. This “medicine” does in fact exist. It has existed for thousands of years, if not longer. This medicine is universally available and can be effectively used by nearly everyone, male and female, young and old. This medicine cannot be found in a pill, a bottle or delivered through an IV. This medicine is actually built into each of us as part of our evolutionary birthright that lies deep within and widely distributed throughout our brains. This medicine remains accessible to us throughout our lives. This medicine is called trance and clinical hypnosis describes a set of skills or tools commonly used to access and activate this magical medicine. Surprised? Trance is the name for a condition our brains enter into when faced with novel experience, the unexpected, something unfamiliar, or at least what is momentarily disorienting, which is funny because trance is related to our orienting reflex. There we are, humming along in our usual reverie, believing and acting that we know what will happen next, and then, suddenly, something new catches our attention. In that moment, we become dis-oriented as we re-orient to what is novel. When that response occurs, the potential for the trance-formational magic of trance arises. Trance describes the bridge that connects the two worlds that define our existence. The bridge links together the world filled with what we know, how we’ve lived, and what we’ve come to expect, with a world of surprise, mystery, confusion, and a universe of new possibilities for living we hadn’t encountered before. When we access the trance bridge, whether using clinical hypnosis or other methods to reach trance such as meditation, prayer, or guided imagery, the currents of electricity and blood that flow in our brains take on new patterns as new synaptic pathways are formed. Those neurobiological shifts are visible using sophisticated brain imaging techniques. The significance of those shifts is that they herald the activation of an active rewiring of the brain’s neural networks. These cellular and molecular adjustments allow the new to be assimilated and integrated into the old. In other words, the brain shows that it is actively learning, and our capacity to learn to adjust and adapt to new experience is the very definition of what it means to remain youthful, vital and engaged throughout our lives. The capacity to learn something new about ourselves, our world, and our place in it at such a deep, neurobiological level of experience is what makes clinical hypnosis so effective at unlocking the potential that rests inside each of us when our trance capacities are repeatedly accessed. Each of us faces a recurring choice in our lives. Will we live as we’ve always lived; choosing to fend off what is new and different as we seek the appearance of security that comes with the familiar, the predictable, and the apparently controllable? Or, will we show the courage to continuously seek out and take in what is new, uncomfortable and even challenging to the “rules” we’ve written based on our lived experience, even when those rules have inhibited us from reaching our larger authenticity and our fuller potential? The choice is important. The stakes are high. The “trance-formation” of our very selves is the prize. What choice will you make? One of the cultural trends that sociologists have been tracking for some time is the erosion of group participation and involvement. Robert Putnam’s book Bowling Alone, published in 2001, described the many ways membership and participation in social and community groups, from Church congregations to fraternal organizations to bowling leagues, had steadily declined. I am inclined to think that that since 2001 this trend has only continued. As clinicians we so frequently hear from the people we work with how busy their families are, how chronically short on time and energy they feel, how fragmented and disjointed their lives seem to be. For many people, taking the time or finding the energy to be involved in one more thing, however worthy or potentially rewarding, just seems like too much. And I think it becomes a vicious cycle: our institutions languish, the connection and social support that occurs under those umbrellas is lost, creating emotional costs for individuals and families, and the erosion of social cohesion in communities. Professional organizations of all sorts have not been immune to this trend. MSCH too has experienced a slow but steady decline in our membership, from a high of over 300 members to a recent tally of 185 or so members. The impact these relationships have on the resources involved in each relationship, and on larger groups. Within this framework, social networks are central, and transactions are marked by reciprocity, trust, and cooperation. Social capital is generally seen as a form of capital that produces public goods for a common good. And as you probably know, a lot of great things happen when social capital is harnessed: it’s been identified as a key ingredient in promoting positive change in improving the performance of diverse groups, in promoting the growth of entrepreneurial firms, in creating value from strategic alliances and in supporting healthy evolution within communities. In systems language, the whole proves to be greater than the sum of its parts. And despite the “Bowling Alone” trend, somehow, in some places, social capital is getting created, nurtured and harnessed to accomplish great things. Create more opportunities to develop relationships between existing members, and particularly with our newer members. How can we foster relationships that are reciprocal, enlivening, mutually beneficial? relationships that are fueled by our shared interest in using the power of hypnotic ways of being? Concurrently, the committee will develop a plan for actively reaching out to the broader healthcare community, to promote MSCH training and participation and the power of “being hypnotic.” And in conjunction with the Education Committee, the Membership Committee would work to develop links to and relationships with other organizations. 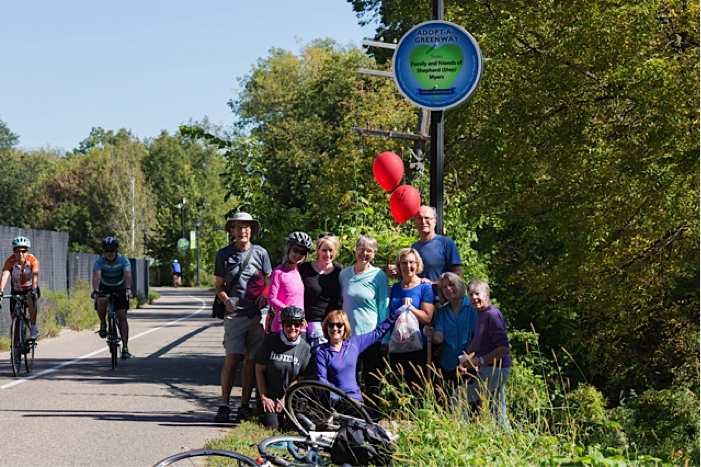 The Board believes that if MSCH can become increasingly successful in developing those kinds of relationships, our members will be even more effective in their efforts to enhance the health and well-being of the people they work with and the health of their communities. And that will make MSCH a desirable organization for others to join and to stay connected with. Several members of the Board have agreed to work on this initiative: However MSCH is more than the Board: we are asking for a few volunteers from our membership to help with this project. We know we have tremendous resources, (i.e. knowledgeable, creative, talented clinicians, mentors and teachers) in our community. Does this vision spark something in you? Do you have ideas, energy, perspective you might want to contribute? Do you see examples, models of this kind of synergy that are working elsewhere that could inform our efforts? We are still formulating an action plan, but I would imagine once we get started, work on this Committee would involve an hour or two a month. Please consider joining us.